The gunman also died from a self-inflicted gunshot wound. AUTHORITIES SAY SEVEN people were shot to death and one was wounded in attacks in a small southeastern Missouri town. The suspected gunman was found dead from an apparent self-inflicted gunshot wound. The victims’ bodies were found in four different homes in Tyrone, in Texas County, about 40 miles north of the Arkansas border. The 36-year-old suspect from Tyrone was later found in a vehicle in Shannon County dead from an apparent self-inflicted gunshot wound, patrol spokesman Sgt. Jeff Kinder said. Police received a call about 10.15pm from a young woman who said she had fled to a neighbour’s home after hearing gunshots in her house, Kinder said. When officers arrived, they found two people dead in that home. Officers later found five more victims and one injured person in three additional homes. The body of an older woman was found in another home but she appeared to have died of natural causes, Kinder said. The names of the victims, the gunman and a possible motive have not been released. The injured person was taken to a hospital. Texas County coroner Tom Whittaker said investigators were still working at the scenes Friday morning. “To my recollection, we’ve never had anything like this,” Whittaker said. Sgt. 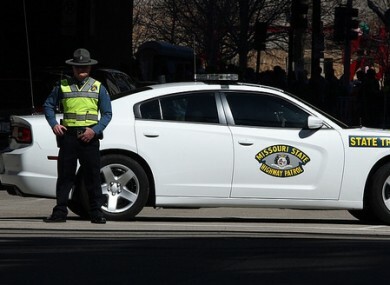 Jeff Kinder of Missouri police said Friday morning he could not release any information on the motive or whether the 36-year-old gunman and the victims were connected. Email “Seven people shot dead in shooting rampage in small US town ”. Feedback on “Seven people shot dead in shooting rampage in small US town ”.